Jeevan rowing, originally uploaded by The Bacher Family. Jeevan was a good friend my roommate for a year during college. 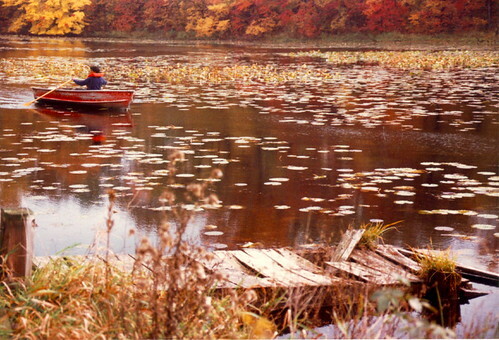 I took this photo during a "silent retreat" in southern Michigan in November 1988. I love the light, the colors, the composition, and the boat on the water contrasted with the broken down dock in the foreground. This photo has special meaning for me because Jeevan died a few years ago, too young.